Because of your concerted citizen action throughout Buffalo County, Glacier Sands withdrew their application just prior to the County Board meeting. Here’s their letter. Several things to note — here are multimillionaire Texas oil men accusing you the many citizens of Buffalo County who wrote letters testified, voted and filed petitions of “tainting” the process. The notion of glass houses comes to mind. Here’s a map of where this will go (clicking on this map will take you to a Google Maps map that you can explore). We will be posting information and alerts to the email list. CLICK HERE to subscribe to the list. This lame-duck Board is ramming this proposal through just before a new Board is seated. Let them know that you would like this vote to be delayed until the new Board (that is going to have to deal with the consequences of the decision) is seated in April. The old Board is the wrong group to make this choice that will profoundly change our county for at least 20 years. CLICK HERE for the list (and phone numbers) of the current Board members. Note: the picture at the top of this Buffalo County website page is way out of date, but the list of names at the bottom is current. Let people know what’s going on. 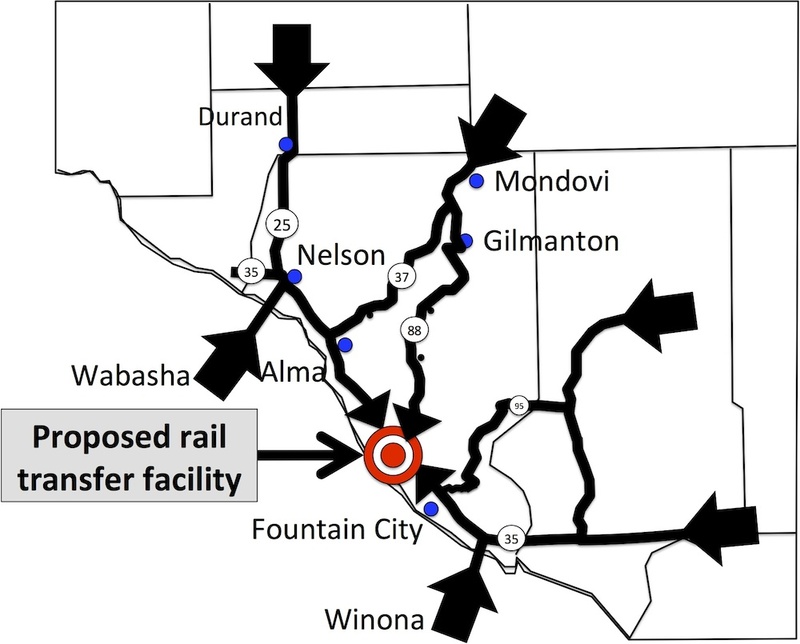 This is an exact repeat of last year’s attempt to put a major frac sand rail transfer facility directly across from CFC School at the junction of Highway 35 and 88. 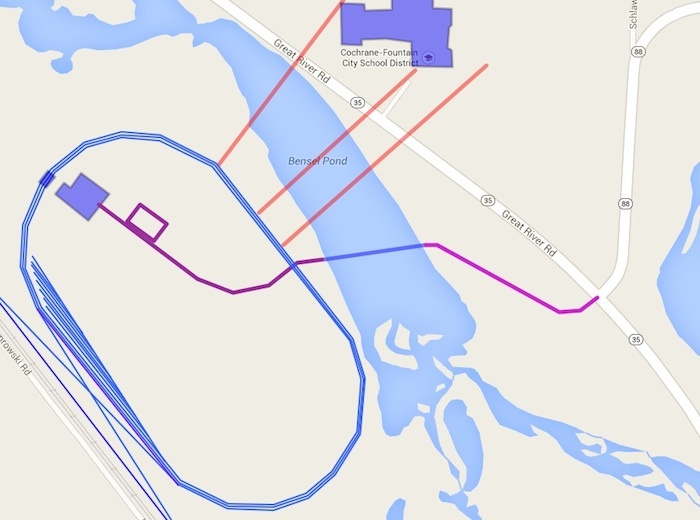 Here’s a map — the arrows indicate where the trucks are coming from and where they’ll be headed.